"Joker" - Hurley 22 Bermuda Sloop - well maintained. 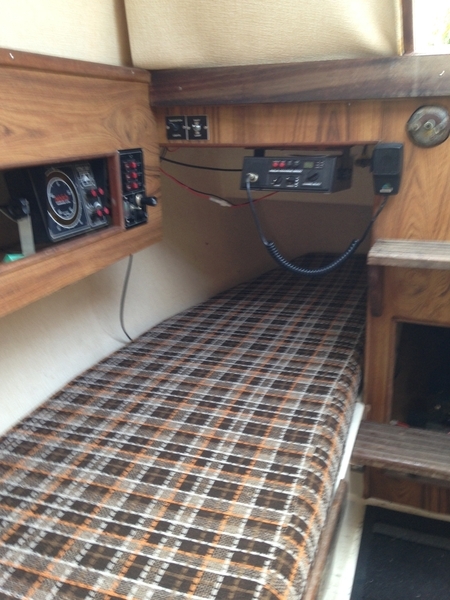 4 berth cabin cruising yacht, sail no. SCM 1112, built 1980. Currently on a swinging mooring at Durgan, Helford River, Cornwall. 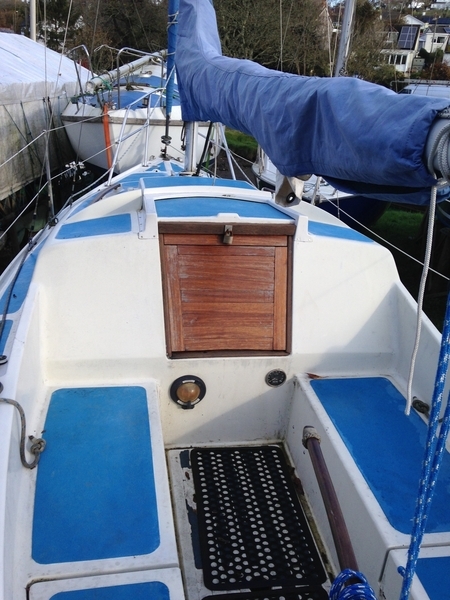 Twin bilge keels, mainsail and roller reefing genoa, both in good condition, VHF radio and depth sounder, navigation lights, 4 sleeping berths fully cushioned, manual bilge pump, toilet, sink, cooker and cabin/cockpit table, 6 hp Yamaha 2-stroke outboard, mounted inboard, serviced annually, 2 hp Yamaha 4-stroke outboard as spare/backup. Extras: boarding ladder, boat hook, safety harnesses, life ring, horseshoe, warps, mooring lines, fenders, tender – 6ft fibreglass pram, with launching trolley and road trailer.